In a recent study by Ernst & Young and the Fidelity Charitable Gift Fund, 62% of small business owners say that giving back to their community has made their company more successful in the long run. 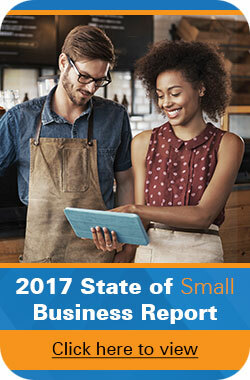 Of course, we know it’s not easy for all small business owners to give back due to tight budgets. But there are clever ways to show your support without coughing up large sums of money. Keep reading to find out how your small business can become more philanthropic within its local community. While the weather is nice take time to organize a company community day of service. These activities help boost company morale and overall employee camaraderie. As a business owner, you can offer a wealth of knowledge and experience unbeknown to others. Take this expertise and share it with others by sitting on a nonprofit committee board. By doing so, your charitable contribution will be time (after work hours) and not money. Another great way to raise money for a charity without dipping into the corporate funds is to hold an internal donations race. Pick a charity for which you’d like to provide donations, and then offer a prize to the employee that can raise the most money. This reward could be as simple as offering a bonus PTO day. Giving back to the community does not always have to be a monetary contribution. There are plenty of ways you and your employees can provide time and effort in beneficial ways. In what ways is your business helping out in its community?